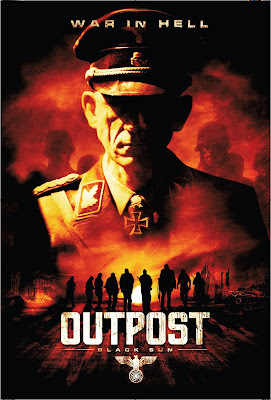 A few years passed and it seemed as though Outpost 2 was never going to be released, I had been following their Facebook/Twitter pages so I knew the film had been made but alas, no release date. Even news of a third instalment didn’t bring with it a release for the second! Eventually, as if overnight, Outpost: Black Sun was released in shops and quickly moved to the top of my wish list! I finally got the opportunity to watch it after a chance visit to HMV provided me with a copy for the bargain price of £3! Black Sun begins with a flashback scene to 1945 and a Nazi scientist called Klausener. Klausener is working on some crazy technology to assist the Nazi push; a familiar face in Götz (Johnny Meres), the breather from the first instalment was a welcome sight. Skip forward a few decades and we are introduced to Lena, hell bent on eradicating the world of the last few survivors of Hitler’s army, she is on the trail of Klausener. Little does she know that her search is about to drag her into a world she is ill equipped to handle. A machine that was developed by Klausener is the item it seems everyone is trying to attain. 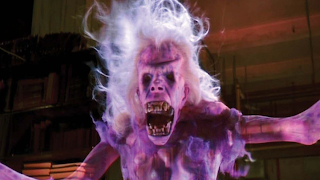 It gives any member of Gotz’s undead army within its radius the lucky advantage of being immortal. As the radius of the machines power expands, it brings with it more doom. Lena is joined on her voyage by Wallace, who has been on the trail of Klausener for a long time and is well positioned to help even if his motives are slightly sketchy. 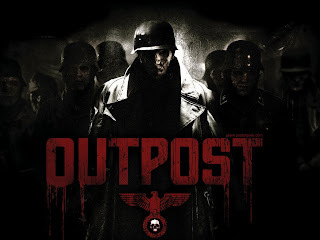 After joining up with a Special Forces unit, they must go deep into enemy territory to try and stop the massing Nazi army before its immortal reach stretches too far. As with the first film, there are lots of Nazi zombies to keep everyone entertained but, and I say this with the greatest of sadness, the film lacks in most departments. The storyline seems like something from a Hellboy comic. Too much of the technology is described in far too great a detail than is required for a horror film of this type. For that level of detail, an action film is the direction to go but this is too dark to be considered in that category, so I suppose in essence, very much like Grave Encounters 2, Outpost: Black Sun is a sequel that doesn’t quite fit. Whereas the first film was inventive, original, creepy and very atmospheric, this instalment just isn’t unfortunately. The story seems to suffer from too much depth and once it starts drowning, it can never quite get its head above water again. As the story develops, we are treated to a few interesting sights and even a few “stop breathing or he’ll see you” moments which do add weight to its horror roots but sadly it’s not enough. Although the film suffers from many downfalls one good feature is the acting. For the most part, this is done with great ease. Notably from Richard Coyle who plays Wallace. I had only previously seen him in a made for TV Sky programme called Going Postal based on Terry Pratchett’s work. He was good in both. Catherine Steadman played the role of Lena brilliantly too and this did add that much needed extra dimension to proceedings. All in all, Black Sun was on a slippery path from the beginning. Its main enemy was its predecessor. Had this been a standalone venture with no connection to the original, then I can see how it may have worked however, it wasn’t. No matter how slim the connection, I was always going to compare this to the first and with that being said, it disappointed greatly. What we have learned from this is that with a bit of extra cash, the producers etc have suffered from lottery winning syndrome. Too much money that they didn’t know where to throw it!